Thank you for joining us today for our Crazy Crafters Blog Hop! We are thrilled to be hopping with the amazing Wendy Cranford today. Wendy is a high-achieving demonstrator from the US. She is currently ranked 10 Overall in the US and ranked 14 in the Global 100. WOW! Go Wendy! Here is a pic we took with Wendy and Missy Mills one of my Crazy Crafter on the Explorer of the Seas whilst cruising in Alaska. 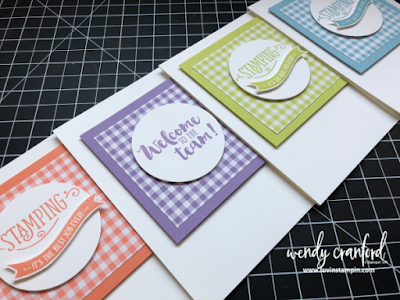 We are all going to be casing Wendys work so we can be inspired by the colours she has used, or the layout.... Whatever we decide catches our eye and gives us creative inspiration. For the flowers, I stamped the flowers in Petal Pink and Sahara Sand. It is great as the stamp is in one piece and there is a coordinating framelit. I embossed the highland heather piece of card stock and then punched this shape out using the Prety Label Punch. I stamped the sentiment using Highland Heather and cut this into a thin banner. As an accompaniment to the stamped sentiment, I added the word friend. I added Adhesive Sheets to the rear of a piece of petal pink and cut out. I then stuck this down. 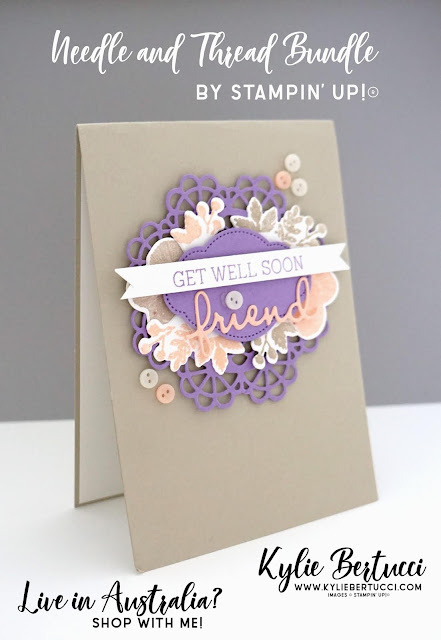 I was going to leave the card as it but I tried adding the doily piece in Highland Heather. I love the way it looks with it. Finally, I added some of the cute little Needlepoint Nook Buttons. 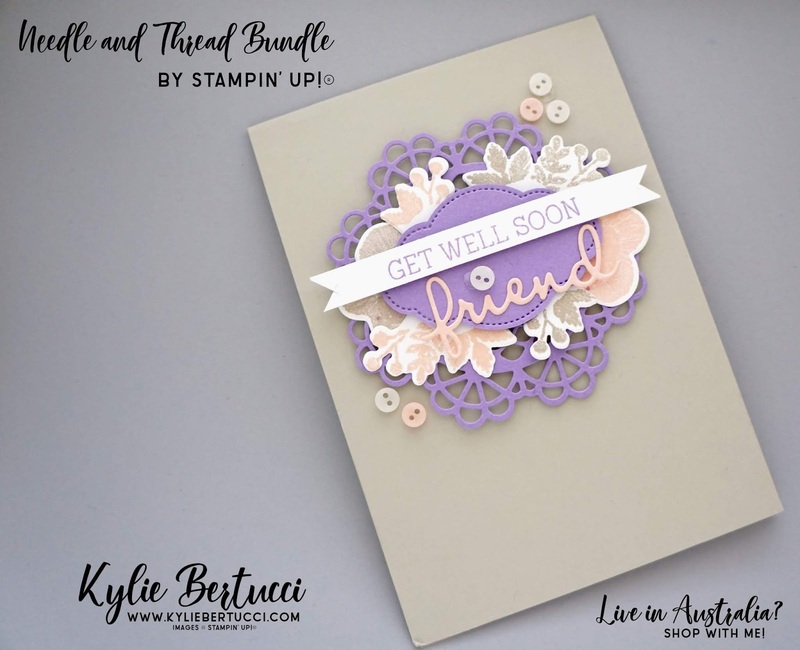 These are in Very Vanilla, Sahara Sand and Petal Pink so they matched the card perfectly. I love how this card turned out. Of course, it wasn't the way I envisaged it, but i still love it! Thank you so much for coming by today for this awesome blog hop! Big thank you to Wendy Cranford for hopping with us! I appreciate the inspiration you gave to me for this card today. Make sure you don't miss any of the blog posts by clicking on the links below. You are going to be so amazed by all the projects you are going to see on this hop. Feel free to leave a comment below if you like my project today! If you need any of the products used on the project, click on the shopping links below.